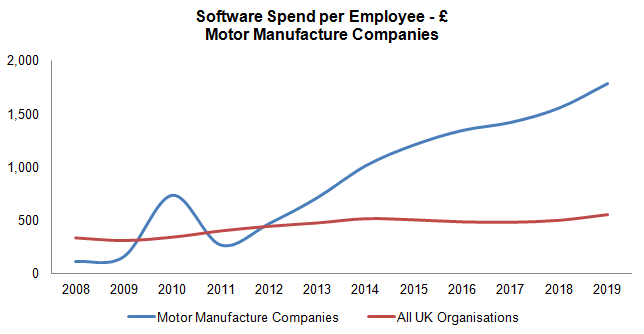 Software spend by UK motor manufacturers is soaring spurred by heavy investment in emerging technologies such as autonomous cars. It is leaving the rest of the UK far behind in the amount spent on software per employee. Motor manufacturers will be outspending the rest of the UK by a factor of 3 by 2019. A rapid increase from 2012 when there was parity.